Also known as a dental assistant's arm, body support arm, belly bar, or surgeon's arm. Arch length approximately 24.0"; Arch width approximately 3.3". Arm support can be mounted either on the left or on the right. Right-handed people usually mount the arm on the left; Left-handed people usually mount the arm on the right. Arm support moves horizontally by releasing the ever underneath the arm. 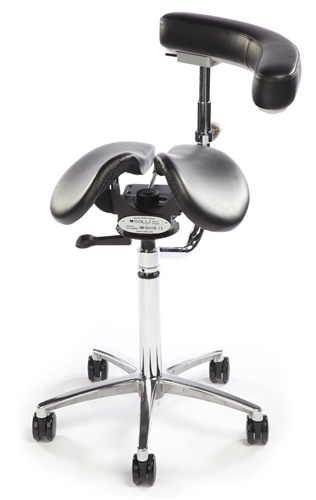 Arm support rotates freely 360° and can be positioned to the front, side, or rear of the seat. The Salli Allround Arm accessory attaches to the gas cylinder of the chair, enabling its use with all Salli chair models with pneumatic seat height adjustment. 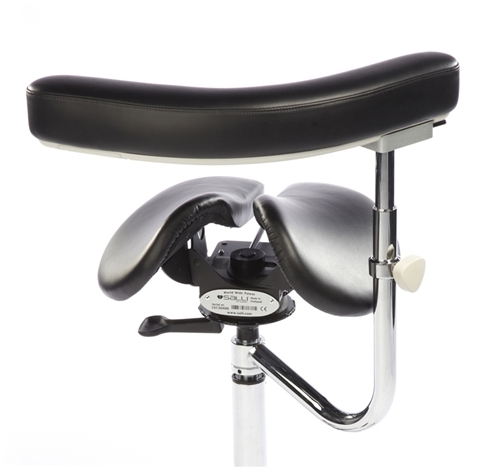 Note: The arm attachment adds about 1" of height to the lowest seat height adjustment range. Requires a larger diameter 600 mm 5-star chair base. 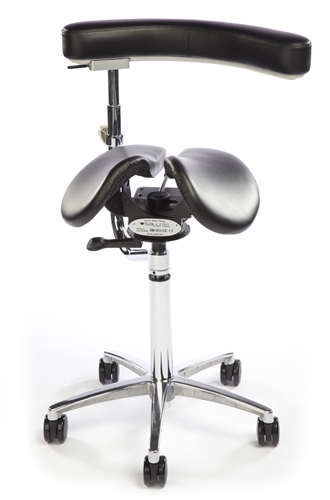 Base upgrade is included when purchased with a Salli chair. Base must be purchased separately if installed as a retrofit. Lightweight and robust die-cast aluminum chair base is polished to a high shine. 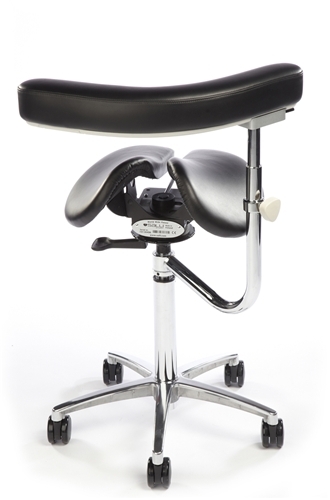 Ideal for office and medical environments. The chair must be disassembled and the pneumatic cylinder removed for installation. Precise positioning and secure attachment of the arm bracket to the pneumatic cylincer is critical. We recommend that the installation be performed by a trained chair service technician. The chair cylinder can also be sent to the factory for installation of the arm bracket.